The freemasons and the illuminate are today's free thinkers that uses the ancient secrete knowledge of Egypt and the Babylon to build the political structure of Europe and America. Some of the knowledge they use is taken from the bible. 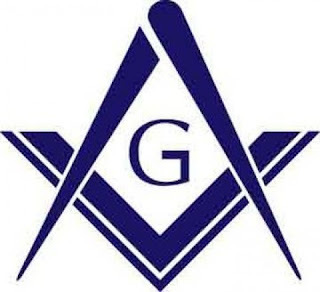 Freemasons was Founded as an organization dedicated to the free exchange of ideas, (free exchange of ideas and rituals which derive from the evil mysteries of satanic worship). There place of worship or hall of meeting is called Grand lodge. The word Freemasons also means; "the master builders who designs or build things out of stones". The Freemasons organization claims to be the descent of master building and the designers of all spiritual and physical craft, activities and events which governs the human body and life. Through the use of ancient secrete codes, spiritual information, religious symbols and hidden mysteries, the freemason have been able to manipulate the spiritual and physical events that takes place on the earth for the sake of fulfilling their evil agendas. The ultimate goal of the Freemasons is to structure or build the human conscious (human thinking and way of living) of all the people in the entire world, into one way of thinking (new world order-one government). The freemasons are master builders that are dedicated and committed to the commission of manipulating science, technology, information, media, entertainment, religious symbols and the spiritual events which governs life, so that the whole world may be prepared into the acceptance of the implantation of the microchip (mark of the beast) 666. The Freemasons...the "Lodge"...the Shriner's. Who exactly are these men? Just how did Freemasonry begin? This quote, taken from the Masonic book "Morals and Dogma"by former Confederate General Albert Pike is often cited to "prove" that the Freemasons actually worship Lucifer (another title for Satan - The Biblical Devil). Many believe that the Masons are the descendants of another secret society which was called The "Illuminati" and as such are plotting to take over this world and establish a "New World Order". Many Fundamentalist Christians and Conspiracy Theorists claim that The Freemasons worship The Devil in the form of something called Baphomet and that Masonry comes down from the Knights Templar, a group of crusader warriors who were burned at the stake for worshiping Satan and practicing sorcery. Why do men join the Masonic Lodge? As with most organizations, men join the Lodge to be part of something. They join to better themselves. Who Was Capt. William Morgan? William Morgan was a resident of Batavia New York who sought to join the Masonic lodge and for some reason was denied. Angered by his denial, Morgan decide to publish an expose of the Lodge's rituals and so called "secrets". After threatening to publish the book "Illustrations Of Masonry", Morgan was arrested,kidnapped and then killed. Morgan's disappearance ignited an outrage and a public outcry, which resulted in the formation of an "Anti-Masonic" Party. The popular belief is that the Freemasons drowned Morgan for betraying the Order. Morgan's disappearance is often cited by those who are against Freemasonry. Why Do Some Object To The Freemasons? Freemasonry is the world's oldest and largest Fraternity. While its traditions look back earlier, Masonry in its current form appeared when its public events were noticed by the residents of London, England in 1717. Although Masonry, particularly in its earliest days, had elements of secrecy, the first 'exposure' of the supposedly highly-secret Masonic ritual actually appeared in 1696 - twenty one years BEFORE the founding of the first Grand Lodge nearly three hundred years ago. That exposure marked the beginning of more than 300 years of objections to the organization. A number of people object to Freemasonry on a religious basis, claiming that Masonry is a religion, supplants their religion or is not 'the way to Heaven'. Some object to Freemasonry on social grounds arguing that it is creating or part of a 'New World Order'. There are miscellaneous other objections, including objections to the supposed foolishness of Masonic rituals and secrecy. They enjoy being together with others they enjoy and respect. Freemasons are a unique institution that is a major part of community life throughout the world and throughout history. It is the largest and oldest fraternity, and one that continues to be an important part of many people's personal lives and growth. Freemasonry is an organization of men bound together with a philosophy of moral standards, mutual understanding, and brotherhood in which all men are on a level and equal. Freemasons are men who have decided they like to feel good about themselves and others. They care about the future as well as the past, and do what they can, both alone and with others, to make the future good for everyone. Freemasons take pride in "taking good men and making them better." In other words, Menschkeit. No one knows just how old Freemasonry is because the actual origins have been lost in time. It more than likely arose from the guilds of stone masons who built King Solomon's Temple in or about 953 BC. Masons of various "degrees" refer to its origins based upon the date of creation of the particular degrees (see "Masonic Calendar" below). In 1717, Freemasonry members created a formal organization in England when the first Grand Lodge was formed. A Grand Lodge is the administrative body in charge of Freemasonry in some geographical area. In the United States, there is a Grand Lodge of Freemasonry in each state/territory and the District of Columbia. In Canada, there is a Grand Lodge of Freemasonry in each province. Local organizations of Freemasony are called "lodges." There are Freemasonry lodges in most towns, and large cities usually have several. There are an estimated 14,000+ lodges in the United States alone. Almost every country throughout the world is host to Freemasons. The word "lodge" means both a group of Freemasonry members meeting in some place as well as the room or building in which they meet. Masonic buildings are also sometimes called "temples" because much of the symbolism Freemasonry uses to teach its lessons comes from the building of King Solomon's Temple. The term "lodge" itself comes from the structures which the stonemasons built against the sides of the cathedrals during construction. In winter, when building had to stop, they lived in these lodges and worked at carving stone. Yes. In a very real sense, education is at the center of Freemasonry. 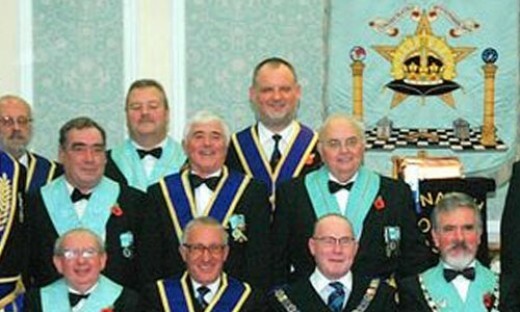 Freemasons have stressed its importance for a very long time. During the Middle Ages, schools were held in the lodges of stonemasons. You have to know a lot to build a cathedral: geometry, structural engineering, and mathematics, just for a start. Such education was not widely available. All of the formal schools and colleges trained people for careers in the church, law, or medicine. Only members of the social upper classes went to these schools. Stonemasons did not come from the aristocracy, but the lodges had to teach the necessary skills and information. Freemasons' dedication to education started there and continued. Freemasons started some of the first public schools in both Europe and the Americas. They supported legislation to make education universal. In the 1800's Freemasons as a group lobbied for the establishment of state-supported education and federal land-grant colleges. Today Freemasons in the U.S. give millions of dollars in scholarships each year. Freemasons encourage their members to volunteer time to their local schools, purchase classroom supplies, help with literacy programs, and do everything possible to ensure that each person, adult or child, has the best educational opportunities available. Freemasonry supports continuing education and intellectual growth for its members, insisting that learning more about many things is important for anyone who wants to keep mentally alert and young and teaches some important principles. There's nothing very surprising in the list. All men and women are entitled to dignity, respect for their opinions, and consideration of their feelings. Each person must take responsibility for his/her own life and actions. Neither wealth nor poverty, education nor ignorance, health nor sickness excuse any person from doing the best he or she can do or being the best person possible under the circumstances. No one has the right to tell another person what he or she must think or believe. Each man and woman has an absolute right to intellectual, spiritual, economic, and political freedom. All tyranny, in every form, is illegitimate. Each person must learn and practice self-control. Each person must make sure his or her spiritual nature triumphs over his or her animal nature. Another way to say the same thing is that even when one is tempted to anger, one must not be violent. Even when one is tempted to selfishness, one must be charitable. Even when one wants to "write someone off," one must remember that he or she is a human and entitled to respect. Even when one wants to give up, one must go on. Even when one is hated, one must return love, or, at a minimum, one must not hate back. It isn't easy. Faith must be in the center of our lives. We find that faith in our houses of worship, not in Freemasonry, but Freemasonry constantly teaches that a person's faith, whatever it may be, is central to a good life. Each person has a responsibly to be a good citizen and obey the law. That doesn't mean we can't try to change things, but change must take place in legal ways. It is important to work to make this world better for all who live in it. Freemasonry teaches the importance of doing good, not because it assures a person's entrance into heaven, that's a question for a religion versus a fraternity, but because we have a duty to all other men and women to make their lives as fulfilling as they can be. Honor and integrity are essential to life. Life without honor and integrity is without meaning. 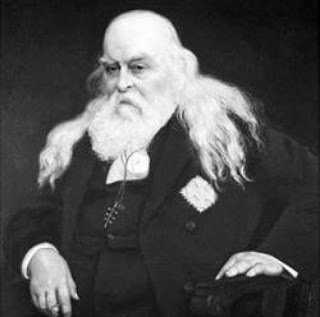 The person who wants to join Freemasonry must be a man (it's a fraternity), sound in body and mind, who believes in a Supreme Being (of any sort or name), is at least the minimum age required by Freemasonry in his state, and has a good reputation. Incidentally, the "sound in body" requirement, which comes from the stonemasons of the Middle Ages, doesn't mean that a physically challenged man cannot be a Freemason; many are. Also there is a Masonic order for women called the Order of the Eastern Star, and children are accepted through the Order of Demolay and the Order of Rainbow Girls. Those are the only "formal" requirements, but there are others, not so formal... He should believe in helping others. He should believe there is more to life than pleasure and money. He should be willing to respect the opinions of others. And he should want to grow and develop as a human being. The Ancient Arabic Order of the Nobles of the Mystic Shrine, commonly known as Shriners, was established in 1870 and is an appendant body to Freemasonry. The Shriners are committed to community service and have been instrumental in countless public projects throughout their domain. The Shrine's charitable arm is the Shriners Hospitals for Children, a network of twenty-two hospitals in North America who provide medical treatment and care for children who are faced with orthopedic conditions, burns, and Cleft Lip/Palate at absolutely no cost to the patients or their families. The Shrine also pioneers new treatments for these conditions. The term York Rite is a term most often used in the United States to refer to a collection of Masonic degrees that, in most other countries, are conferred separately. As such, it constitutes one of the two main branches of Masonic Appendant Bodies in U.S. Freemasonry, which a Master Mason may join to further his knowledge of Freemasonry. Its name is derived from the city of York, where, according to a Masonic legend, the first meetings of Freemasons in England took place, although only the lectures of the York Rite College make reference to that legend. Some obediences of the Scottish Rite, outside the U.S. where the York Rite is not active, may confer some of the York Rite degrees. The divisions within the York Rite and the requirements for membership differ from jurisdiction to jurisdiction, but the essentials are the same. 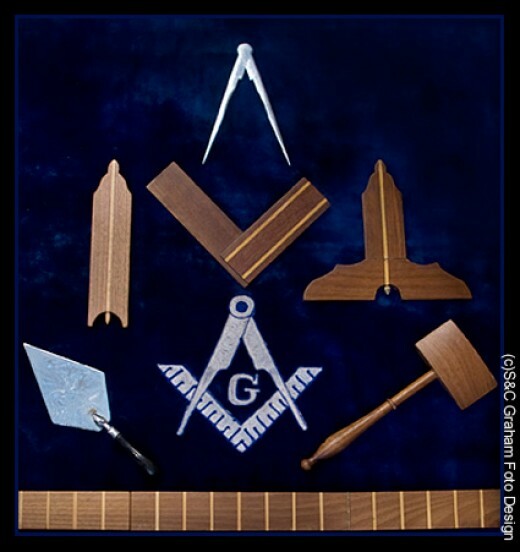 In all the workings, the one requirement is that all applicants be in possession of the degree of Master Mason. The York Rite is not found as a single system in the majority of countries outside the U.S., nor are any of the separate degrees subject to the local Grand Lodge jurisdiction. Each sovereign and distinct rite or "Order" elsewhere has some differences in ritual details to the York Rite system. However, provided that the Grand Lodge in question regards the parent "Craft" jurisdiction as regular, each distinct Order has recognized fraternal inter-relations with the respective Rite within the York system. The Ancient and Accepted Scottish Rite of Freemasonry, commonly known as simply the Scottish Rite, is one of several Rites of Freemasonry. A Rite is a series of progressive degrees that are conferred by various Masonic organizations or bodies, each of which operates under the control of its own central authority. In the Scottish Rite, the central authority is called the Supreme Council. The 33 degrees of the Scottish Rite are conferred by several controlling bodies. The first of these is the Craft Lodge which confers the Entered Apprentice, Fellowcraft, and Master Mason degrees. Craft lodges operate under the authority of Grand Lodges, not the Scottish Rite. Although most lodges throughout the English-speaking world do not confer the Scottish Rite versions of the first three degrees, there are a handful of lodges in New Orleans and in several other major cities that have traditionally conferred the Scottish Rite version of these degrees. The Scottish Rite is one of the appendant bodies of Freemasonry that a Master Mason may join for further exposure to the principles of Freemasonry. In England and some other countries, while the Scottish Rite is not accorded official recognition by the Grand Lodge, there is no prohibition against a Freemason electing to join it. In the United States, however, the Scottish Rite is officially recognized by Grand Lodges as an extension of the degrees of Freemasonry. The Scottish Rite builds upon the ethical teachings and philosophy offered in the craft lodge, or Blue Lodge, through dramatic presentation of the individual degrees. The DeMolay is the Masonic organization for young men and is dedicated to preparing young men to lead successful, happy, and productive lives. Basing its approach on timeless Masonic principles and practical, hands-on experience, DeMolay opens doors for young men aged 12 to 21 by developing the civic awareness, personal responsibility and leadership skills so vitally needed in society today. DeMolay combines this serious mission with a fun approach that builds important bonds of friendship among members in thousands of chapters worldwide. DeMolay alumni include Walt Disney, John Wayne, Walter Cronkite, football Hall-of-Famer Fran Tarkenton, legendary Nebraska football coach Tom Osborne, news anchor David Goodnow and many others. Each has spoken eloquently of the life-changing benefit gained from their involvement in DeMolay. Many people, both Masons and non-Masons, are curious as to the different dates used throughout Freemasonry. For example, the Craft Lodges date the year 2008 as 6008, whereas Knights Templar refer to 2008 as 890. The following explanation should provide further light into these Masonic customs: Craft Masonry's calendar commences with the Biblical creation of the world and uses the term Anno Lucius (A.L. ), which means "In the Year of Light." To arrive at this date, they add 4000 to the common time, as the Earth was believed in conventional theology to have began in 4000 BC. Therefore the year 2008 becomes 6008. Royal Arch Masons date time from the year the second temple was commended by Zerubbabel. Anno Inventionis (A.I. ), which means "In the Year of Discovery," is the terminology used by Chapters of this degree. This adds 530 to the common time, therefore the year 2008 becomes 2538. Royal and Select Masters or Cryptic Masons date from the year in which the Temple of Solomon was completed. It is called Anno Depositionis (A.D.), which means "In the Year of the Deposit," and adds 1000 to the common time. Therefore the year 2008 becomes 3008. Knights Templar start their calendar with the formation of their Order in 1118 AD. Anno Ordinis (A.O. ), which means "In the Year of the Order," is the terminology used. This deducts 1,118 from the common time; therefore the year 2008 becomes 890. The Scottish Rite date the same as Craft Masons, except for the use of the Jewish Chronology. Anno Mundi (A.M.), which means "In the Year of the World," is their calendar terminology and adds 3760 to the common time. Therefore the year 2008 becomes 5768.